The US dollar is currently trading at a four-month high against the Euro, making a trip to Europe this summer seem like a smart move. 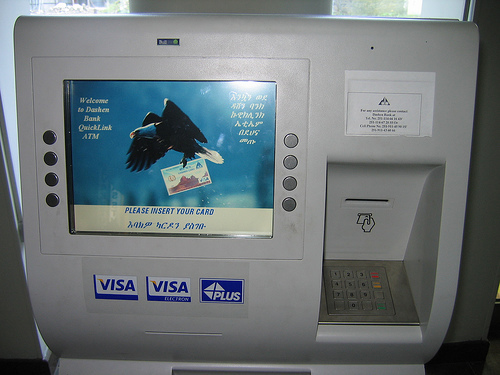 But some travel industry insiders say the robust greenback may not necessarily translate into more Americans crossing the pond for their next vacation, thanks mainly to rising airfares. Travel website Kayak says US-European fares are up 11 per cent over last summer, which would negate the lure of more affordable accommodation – a 100 euro hotel room will set a US traveler back around $125, as opposed to $132 in August 2010. Supporting this theory, a spokesperson for Kayak told USA Today that users of its website were searching less for summer flights to European destinations and more for flights to US cities. Marian Marbury, president of travel specialists Adventures in Good Company, echoed this sentiment, telling the newspaper that interest in its European trips was down, with “more than one person” backing away after seeing a $1,200-plus fare. According to a spokesperson for travel website Priceline, European summer airfares “are at a 10-year high”. And although economic unrest in Greece has lead to a drop in prices, summer hotel rates have yet to fall significantly, even in struggling Ireland, Italy and Portugal. US tourists could also be deterred from traveling to the UK this year, thanks to a hike in prices due to this year’s Olympic Games and the Diamond Jubilee of Queen Elizabeth. 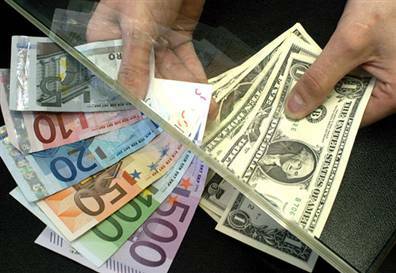 The dollar was trading at around $1.57 to the pound earlier this week. According to USA Today, US Department of Commerce figures show a year-on-year increase in European departures of 3 per cent for the second half of 2011, confirming that travel to Europe has picked up slightly since the rise of the dollar. Victoria Falls is a spectacular waterfall located in southern Africa on the borders of Zambia and Zimbabwe. The Zambezi River serves as the fall’s water source. With the collective height and width of the falls, it is attributed as the largest sheet of falling water in the world. 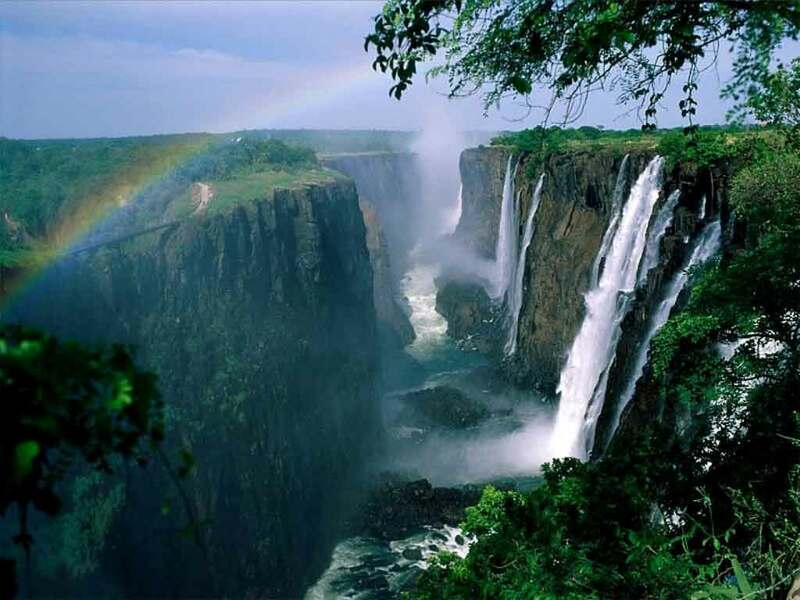 The name Victoria Falls was given by the Scottish explorer Dr. David Livingstone. Victoria Falls is accessed through Livingstone, Zambia or Victoria Falls, Zimbabwe. It is recommended that whichever city serves as the entry point that visitors take advantage of the complete natural wonder experience and cross over to border to see what Victoria Falls has to offer from the differing perspective. There are two unique and distinctive views of the falls. One of the best ways to see the falls is to take a helicopter or microlite tour over the falls, which provides a breathtaking and spectacular aerial view of the falls and surrounding area. Whether you elect to take a helicopter, microlite or both up into the air you will have a fair chance of seeing elephants, hippos or other wildlife while taking in the awe inspiring view of the falls. Although there are no guarantees, witnessing wildlife along the way will enhance your natural wonders. There are basically two seasons for the Victoria Falls area. The rainy season runs from late November to early April and the remaining months account for the dry season. One would imagine that the rainy season with more water would make the falls more spectacular; however the additional water makes it impossible to see the base of the falls. The dry season provides an opportunity for the islets and rocky face to become more visible which makes for a more scenic view. Marriott International, Inc. (NYSE:MAR) continues its investment into the African continent by following up the proposed 209-room Accra Marriott Hotel, with the announcement of two new hotels in Ethiopia. The two properties are a Marriott Executive Apartments for extended stay travellers and a quality tier Courtyard by Marriott branded hotel. 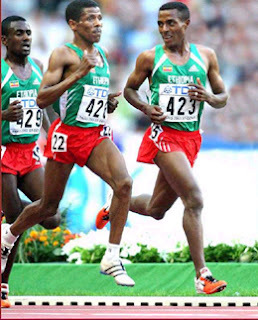 Both will be located in Addis Ababa and are scheduled to open in 2013 and 2015 respectively. The Courtyard by Marriott alone is expected to bring US$ 65million into the local economy over five years. This marks Marriott International’s first foray into Ethiopia, after a number of similar announcements throughout the continent and is a sign of the company’s confidence in the growing African market. Marriott International has projected that by 2018, the new Courtyard by Marriott branded hotel’s total revenue will be ETB 242 million (US$ 13 million) per year – equating to ETB 1 billion (US$ 65million) injected into the economy over five years from only one 209- room hotel. “The fundamental demand generators that drive our industry are alive and well on this continent,” Kyriakidis said. “Marriott International’s investment into this region represents the economic realisation for the need for hotels – countries need to invest in infrastructure, accommodation and airports to create jobs to grow the economy. Tourism is the fourth largest foreign exchange earner in Ghana and the government recently implemented a Strategic Tourism Development Plan. The plan aims to highlight the importance of the sector to private companies and government agencies involved in the development of infrastructure to improve skills in the industry and to identify opportunities and programme developments necessary for the sector. Marriott International is focusing its growth on Ethiopia, Benin, Gabon, Ghana, Nigeria and Rwanda, with a number of new properties scheduled to open over the next five years. “We are thrilled by the robust expansion of our African hotel portfolio,” said Kyriakidis. There is a place, in the searing deserts of north-east Ethiopia, where you can watch a new version of planet Earth being created. In 2005, over a period of just 10 days, a 60km-long, 8m-wide crack opened in the Earth’s surface. Scientists who witnessed it were astonished. Here, they told the world, were the labour pains indicating the birth of a new ocean and the beginning of an event that in a mere 10 million years would rip Africa in two. The fact that Ethiopia is reshaping our planet should come as no surprise. After all, this corner of East Africa is often cited as the cradle of humanity. It was here that ancient hominids first stood upright. But Ethiopia’s contribution to Earth’s history extends much further; this is a country that has helped shape much of our culture. It is home to one of the world’s oldest Christian communities, an even older Jewish one, and it is where the first Muslims found shelter when persecuted in their Arabian homeland. Ethiopia is also where the Ark of the Covenant, the biblical chest carried by Moses from Mount Sinai, can supposedly be found, inside a chapel in Axum. Going back even further, Ethiopia is where the Queen of Sheba is said to have had her palace and where she gave birth to a son, fathered by King Solomon, who became the ancestor of all Ethiopian emperors right up to Haile Selassie. Unfortunately, despite its illustrious past, years of famine and war have kept mass tourism at bay. But things are changing, and nowadays Ethiopia is safe, stable and surprisingly easy to visit. Indeed, Cox & Kings (0845 564 8275; coxandkings.co.uk) reported that its Ethiopia group tour was the best-selling escorted tour in its Africa brochure last year. The 14-day “Ethiopian Odyssey” starts at £2,889 per person, including flights. Most visitors focus on the northern highlands, with good reason. Homeland of the Christian Amhara and Tigrayan peoples, the north’s soaring mountain plateaux offer a treasure trove of historical sites, tiny monasteries older than any European cathedral, and rock-carved churches filled with medieval art. The main tourist sites in the north are Lake Tana, the source of the Blue Nile, whose surface is pockmarked with tiny forested islands hiding 16th-century monasteries. Then there’s Gonder, the former imperial capital, which has some of Africa’s finest castles and palaces. 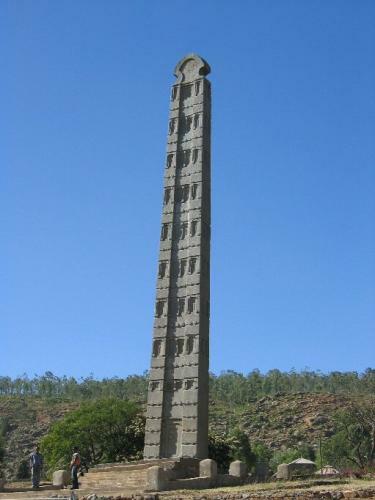 Axum has one of the greatest collections of archaeological sites in sub-Saharan Africa. 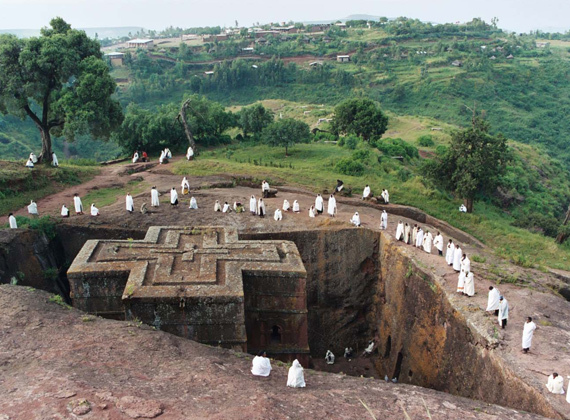 And the final stop on most people’s itinerary is Lalibela, the so-called New Jerusalem. Rainbow Tours (020-7666 1250; rainbowtours.co.uk) offers an 11-day “Classic Ethiopia Historical Tour” costing from £2,895, including flights. The north also has some of the most breathtaking mountain scenery in Africa, with the 4,000m-high Simien Mountains the most popular hiking area. For more offbeat trekking, the northern Tigray region and the area around Lalibela offer fantastic walking, and diversions include monasteries atop needles of rock. Exodus (0845 287 7613; exodus.co.uk) offers a 15-day “Simien Mountains Trek” from £2,149, with flights. Heading south from the capital, Addis Ababa, you’ll find a land torn open by the Rift Valley, sprinkled with muddy lakes and home to a mind-boggling array of tribal peoples. Then there’s the little-visited west, among whose evergreen coffee plantations lies adventure – and none bigger than the search for the lost gold mines of King Solomon. Finally, in the east, where Islam dominates, is the fear-inspiring Danakil Desert– with its fiercely independent tribes – widely seen as the world’s hottest, most ferocious place. Yet it wasn’t always like this: Ethiopians say that, long ago, the Danakil was a vast field of pure gold. True or not, it’s likely that, a long time hence, the Danakil will be at the bottom of a brand new ocean formed after Ethiopia tears Africa into two, and once again reshapes the world. You might not guess it, but the small and dusty town of Axum (Aksum) was once one of the most important towns in Africa. Its influence stretched over a vast swathe of north-east Africa and southern Arabia. Today, there are still reminders of those glory days; a handful of stelae – one of them pictured right – and a clutch of tombs and mausoleums. But even with these physical remains we still know little about ancient Axum. Who constructed these stelae, and why? Are there really secret hoards of treasure hidden in sealed tombs? (It’s certainly true that there are passageways and tombs under Axum that archaeologists have yet to open.) Was Axum really once the capital of the Queen of Sheba? And, most intriguingly, does the small chapel at the centre of the town contain the Ark of the Covenant? Ace Cultural Tours (01223 841 055; aceculturaltours.co.uk). offers a 14-day group trip, calling at Axum, for £2,950, with flights. The legends say that, 1,000 years ago, a poisoned man was carried to heaven by the angels and shown a breathtaking city of rock-hewn churches. He was then commanded by God to return to Earth and recreate what he had seen. The result was Lalibela. Easily the No 1 attraction in Ethiopia, and one of the architectural wonders of Africa, the dozen churches, hewn out of rust- red rock, are the high point of an ancient Ethiopian building tradition. You can explore them quite freely, but note two things: you will be expected to take off your shoes, and the carpets covering the floors are often alive with fleas. Lalibela is a living, breathing religious site, and to be here during one of the major Christian holidays, when thousands of white-robed pilgrims pour into town, is to witness Christianity at its rawest and most powerful. Explore Tailormade (0844 875 1890; explore. co.uk/tailormade) offers an 11-day “Ancient Kingdoms” tour that includes Lalibela, Axum, Gonder and some well-kept secrets. From £2,275, with flights. In the remote south of the country is a side of Ethiopia that stands in utter contrast to the cool, Christian highlands. The Omo Valley is the Africa of Hollywood films; wild and sometimes untamed, it’s home to a plethora of tribal groups, including the bull-jumping Hamer people, the Beshadar and the fascinating Mursi, whose women wear huge lip plates and whose men still live a life of cattle rustling and tribal fighting. 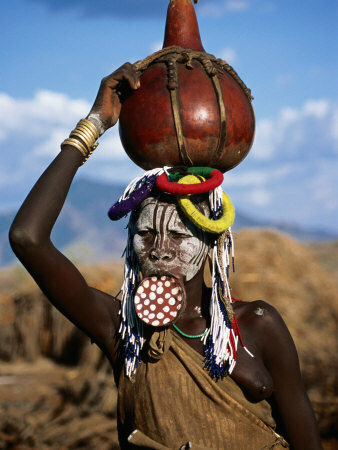 Last century, tourism in these parts was unheard of, but today, the Omo Valley has become one of the Ethiopian tourist boards’ biggest selling points. Getting to the southern Omo Valley, where the greatest concentration of tribal villages can be found, is an adventure, and, because of a paucity of public transport, even hard-core backpackers end up using a tour company. 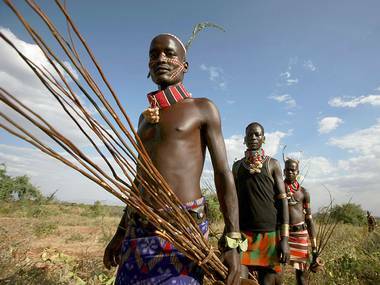 Wild Frontiers (020-7736 3968; wildfrontiers.co.uk) has a 13-day “Journey through the Omo Valley” from £2,170 without flights, or £2,695 inclusive. The tour includes crater lakes in Langano, visits to indigenous villages and boat trips on Lake Chamo. You are currently browsing the TOURIST LIFE TRAVEL & TOUR blog archives for May, 2012.